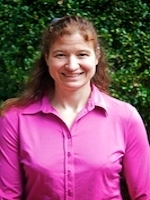 Dr. Heather Bloom is the Director of Electrophysiology services at the Atlanta VA medical center, and an assistant professor of Medicine at Emory University School of Medicine. She received her MD degree from the University of Vermont in 1996. She did one year of general surgical training, then completed Internal Medicine training at St. Mary’s Medical Center in San Francisco. Her Clinical Cardiology training was at University of California at Davis, 1999-2003, and Clinical Cardiac Electrophysiology at Emory University, 2003-2005. She joined the faculty of Emory University School of Medicine in 2005. Dr. Bloom is currently involved with several trials examining the correlation of oxidative stress with atrial and ventricular arrhythmias. She is particularly interested in oxidative stress as a potential predictor of arrhythmic events, and as a potentially modifiable risk factor for targeting new therapies for atrial fibrillation and sudden cardiac death. Dr. Bloom attends on the CCU and Consult services at the Atlanta VAMC. In addition, she is always on service for in- and out-patient EP services, including arrhythmia management, electrophysiology studies and ablations, and device implantation and follow up.